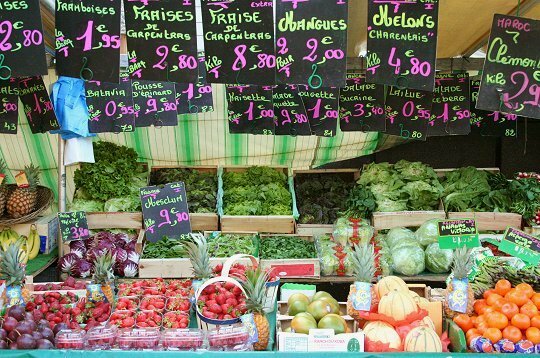 It seems like every Parisian woman knows exactly where to get the best produce, dairy products, cereals, breads, meats, and seafood to create those perfect French dishes. 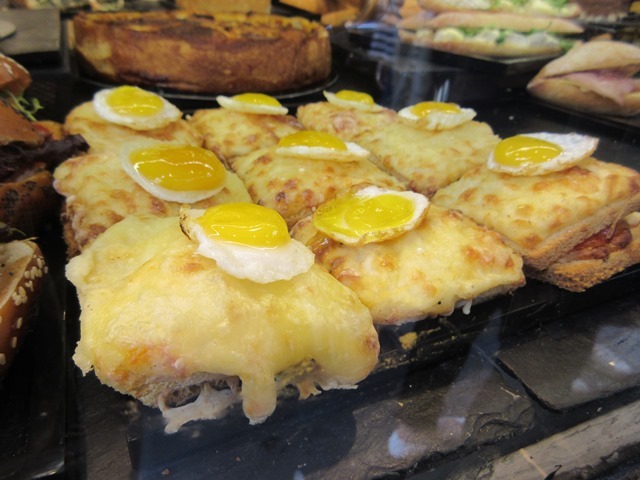 Wandering the streets of Paris you can find wonderful gourmet shops to pick up the finest foie gras, salads, croque monsieur, pates, cured meats, marinated olives, and more. 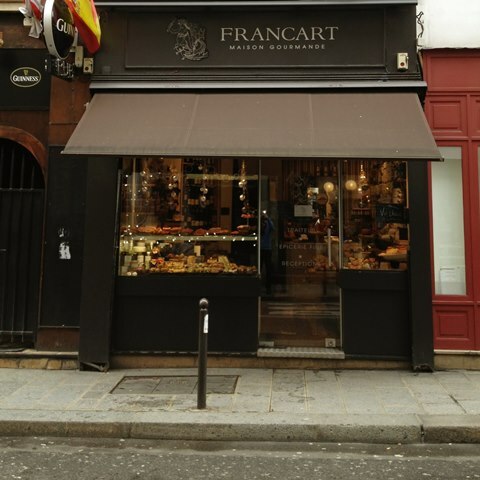 I stumbled upon Francart in St. Germain, a little Maison Gourmande. 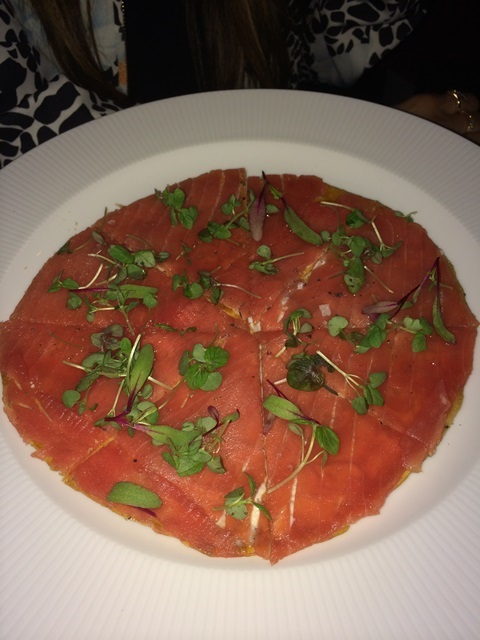 Located at 30 Rue Dauphine in the 6tharrondissement, Francart is charming and everything they offer to their local customers is superb quality. We took 4 dishes to go, and today I still crave every last bite. 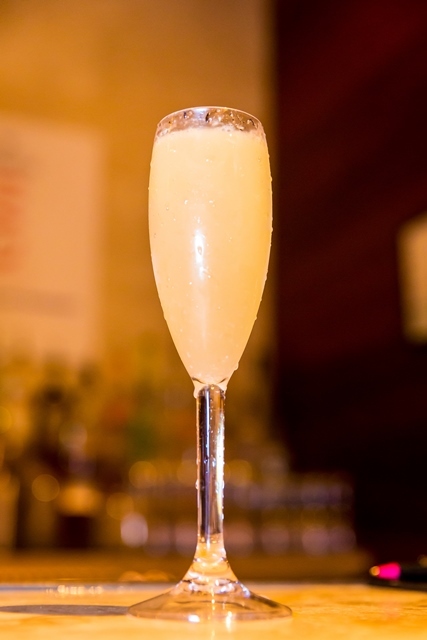 Francart, acts as a premium deli/ gourmet “food to go” store. We fell in love with everything- from their mini cheeseburgers, mini croque monsieurs, healthy salads, tea sandwiches, and marinated vegetable platters- C’est Magnifique! 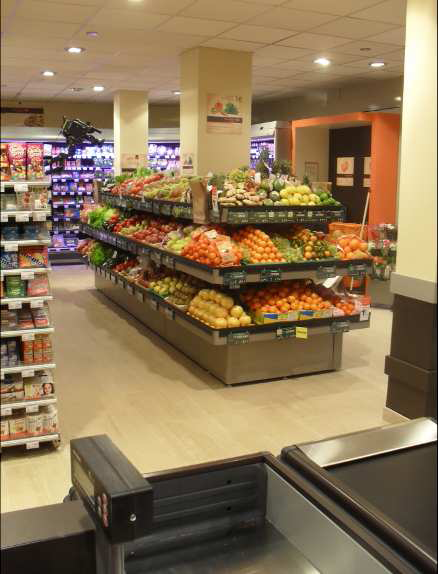 If you live in central Paris you most likely shop for your day to day needs at Carrefour Super Market. I would kill to have a Carrefour in the US! 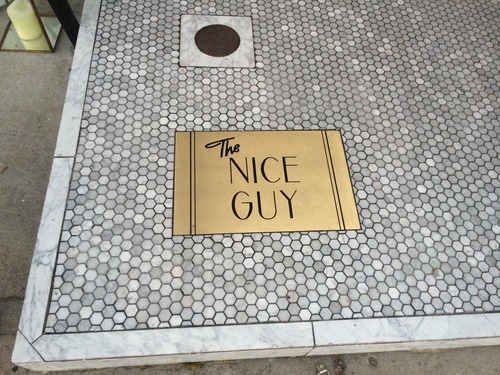 I literally dream some nights that one opened up down the street! To say it puts Whole Foods to shame is an understatment. 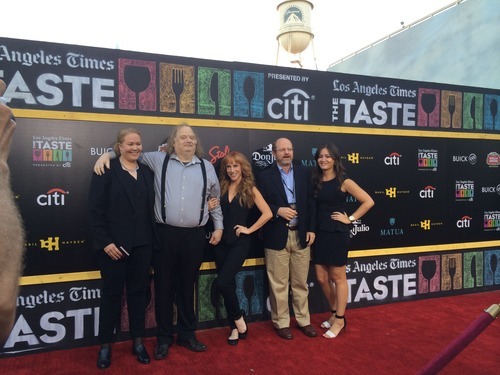 Think of a supermarket with all the best there is to offer on a foodie level. As if Paris wasn’t perfect enough, they also get this as their daily market- yup that’s just not fair! 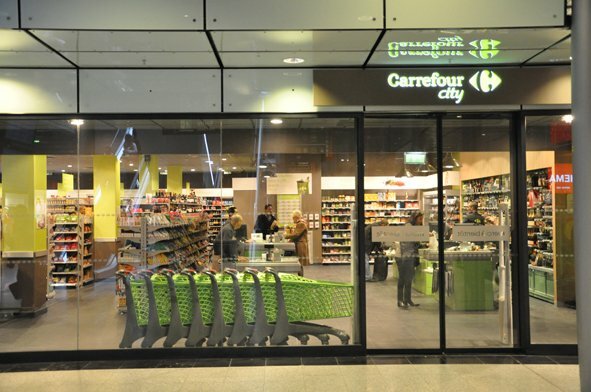 I did some research and as it turns out Carrefour is one of the largest ‘hypermarket’ chains in the world. The name, Carrefour means “crossroads” and “public square” in French, and they mainly operate in Europe, Argentina, Brazil, China, Dominican Republic, United Arab Emirates, Qatar and Saudi Arabia. 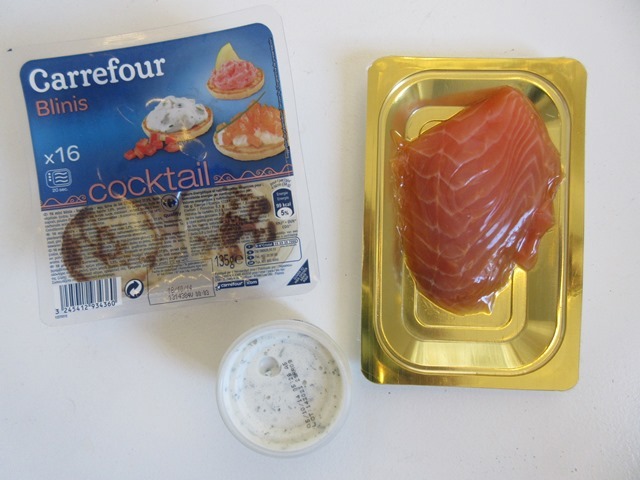 While staying in Paris, I would visit Carrefour often. I loved their grab and go foods, the selection included cold pasta salads, a large selection of sandwiches, and cheese plates! The quality and quantity of their food selection is absolutely top notch. 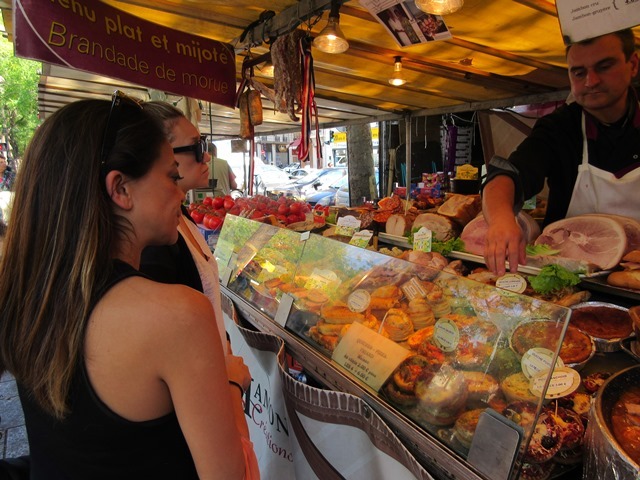 Now onto the real markets of Paris! 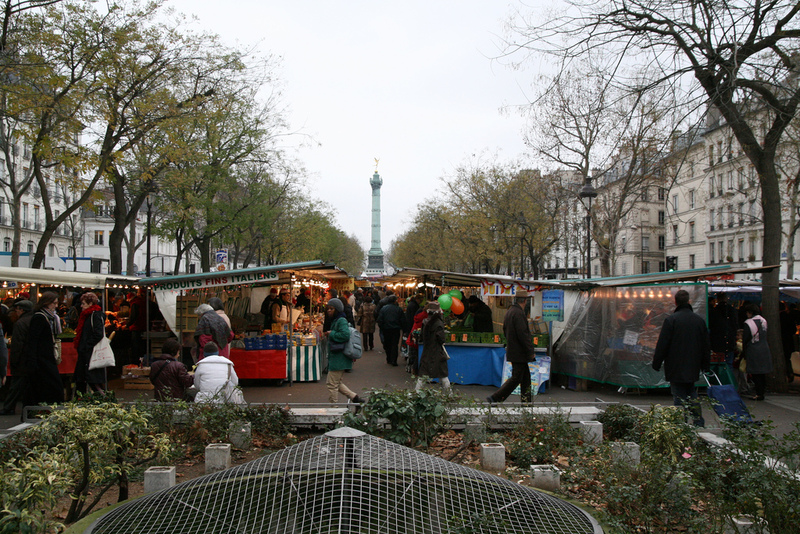 There are over 90 local neighborhood markets in Paris all of which have their own personalities. I visited two markets while in Paris this last trip, Marché Maubert which is one of Paris’ oldest open-air markets, with roots in the medieval period and Marche Bastille which is the largest open market in Paris. Marche Maubert was the friendliest market; it is small in size, but for lack of a better word, perfect. The charming street market is full of fresh flowers, just baked French breads, a great meat selection, and did I mention the pastries… To die for. Marche Bastille was a completely different vibe with vendors selling clothes, kitchen supplies, vintage table wear, and produce as far as the eye can see. Marche Bastille food stalls stretch up and down both sides of Boulevard Richard Lenoir twice a week and the market is known for having some of the best cheeses, free range chicken, and fish in Paris. 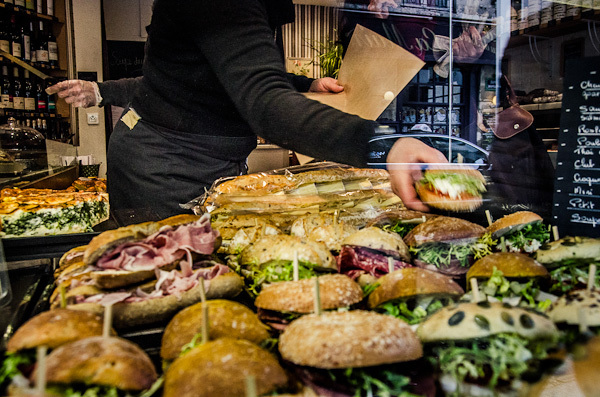 In fact, some of the biggest foodies from all over the world visit Marche Bastille not just to bite into some of the best produce, but to actually try certain meals prepared by some of Paris’s finest local butchers, bakers, and farmers. 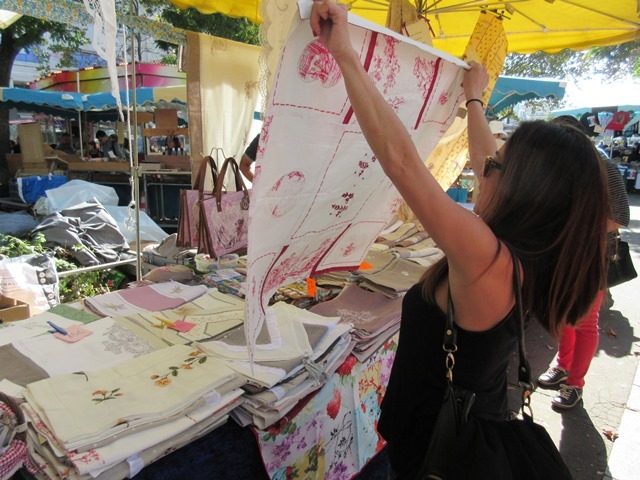 It is a beautiful market, with incredible finds everywhere but be warned it can be a little overwhelming at times for new comers and non french speakers. Finally, as we all know having the right tools to create a perfect menu is critical so you need to know where to find the best cooking utensils in Paris. 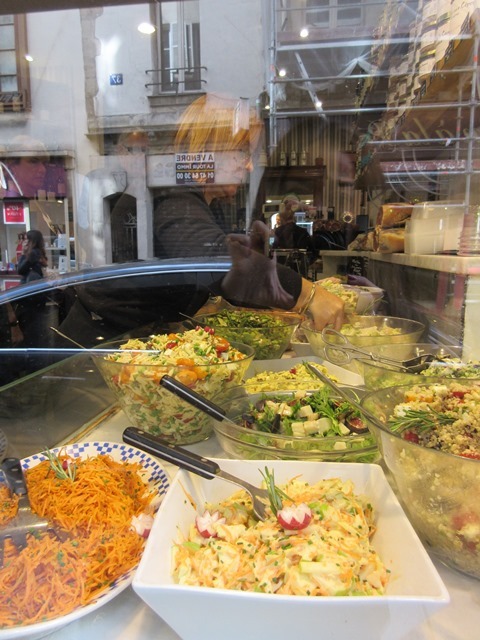 If you are looking to find the best French culinary supplies while in Paris, than look no further than, E. Dehillerin. The 190-year-old kitchen supply store on the rue Coquillière, near the Louvre museum. 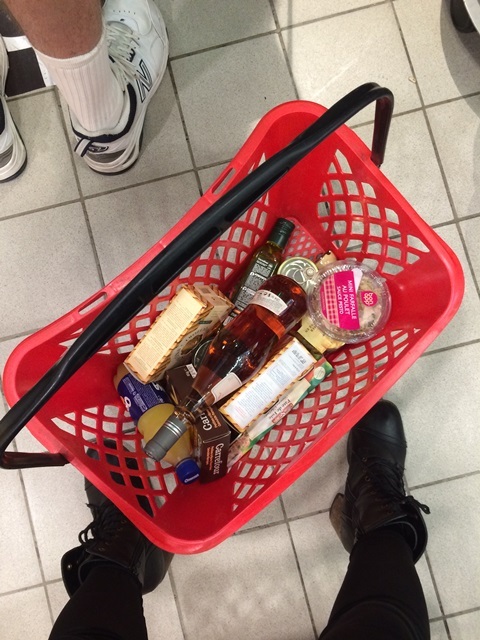 It is a foodie’s shopping heaven! Known for their fine copper cookware, this store was known to be once Julia Child’s favorite stores. 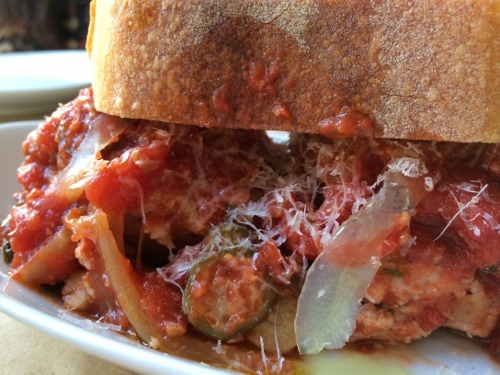 E. Dehillerin is crowded with restauranteurs, chefs, cooking students, and food fanatics. You can find just about any cooking appliance, utensil or apparatus that you could possibly imagine in this store. If you only speak English, it is important to know what you are looking for, as the sales staff is not too helpful. In fact they are known to up charge and sell the incorrect instrument if one does not know what they need for their cooking performance. 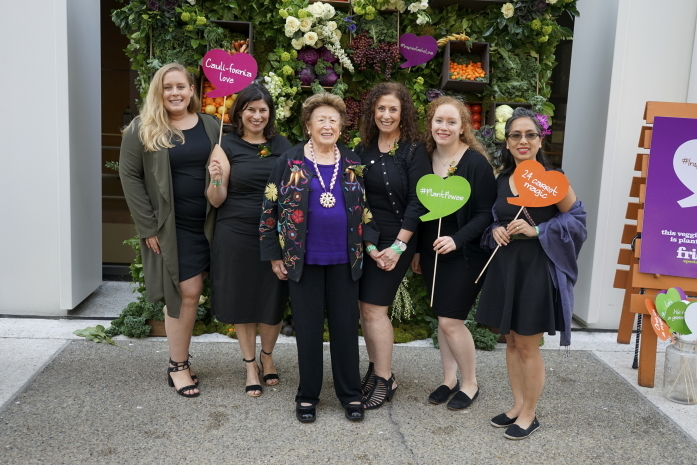 So come prepared and know what you’re looking for, because there are many incredible gifts to bring home for your favorite foodie friend at this amazing store. 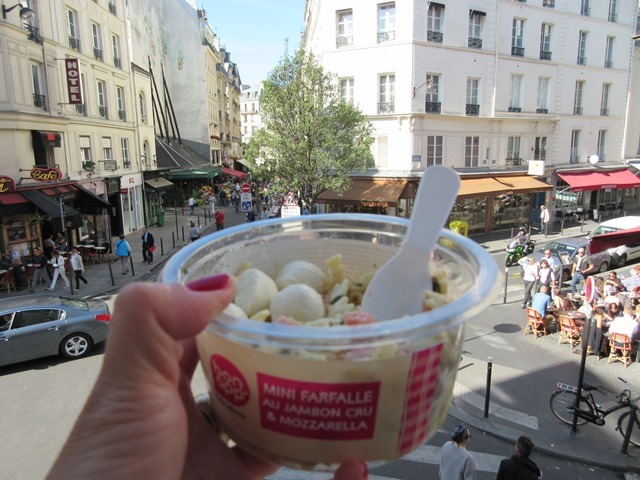 For more info on Markets and Shops for some of Paris’ best food finds, here are two sites that are very helpful.